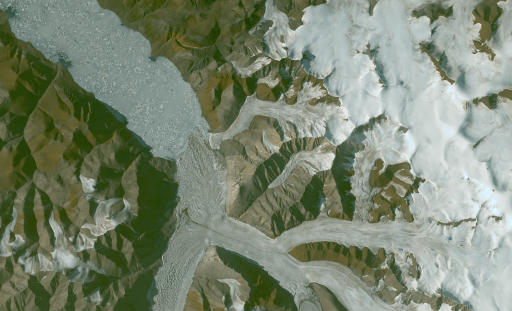 On April 1 (always great choice of day for announcements by the way…) the USGS announced that the whole archive of ASTER imagery is now open to the public. 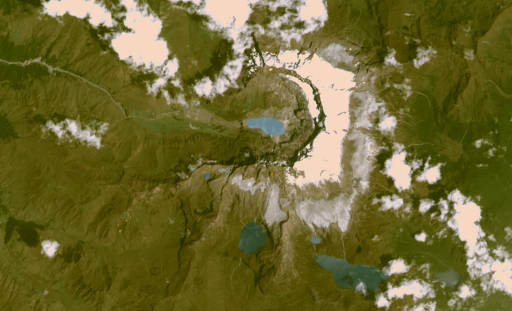 Most readers will know ASTER primarily through the ASTER GDEM relief data set. The ASTER instrument has a second backwards facing camera making it capable to perform stereo imaging with a baseline along the satellite flight path. 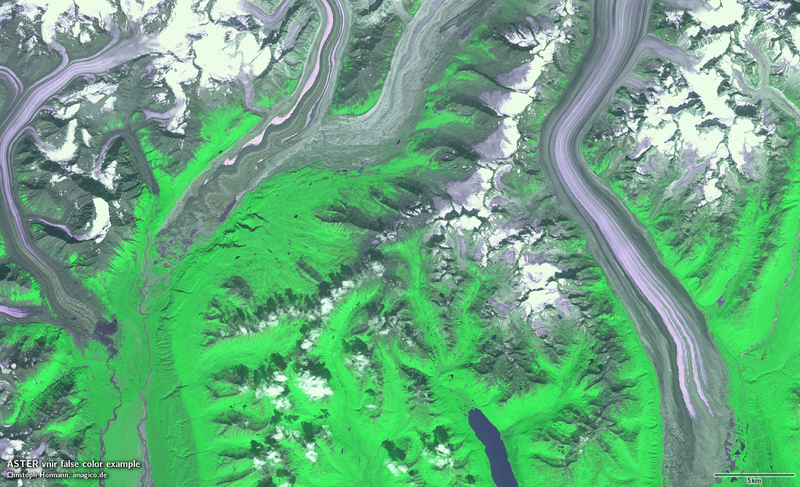 Elevation data has been produced from this by the Japanese METI – the ASTER instrument is a joint venture between Japanese and US institutions – and is distributed publicly with some restrictions regarding redistribution of the original data. The ASTER imagery itself was generally not publicly available previously – only selected images mostly from the US were published. This quite arbitrary and strange policy is now lifted and apparently full public access is now granted to all ASTER L1T data through the LP DAAC – overall nearly 3 million individual scenes. You can access the data through the usual USGS channels like EarthExplorer. The viewing angle of the ASTER instrument is much smaller than in case of Landsat with only 60km but the instrument can be pointed which allows more specific targeting of cloud free areas and allows better coverage of high latitude regions. This is essentially a duotone image in many situations since NIR and red/green differ a lot more than red and green. Vegetation is visible in green and unvegetated areas in various intensities of magenta with red tones somewhat more reddish while neutral colors are more bluish. If you try to construct a blue channel based on the red, green and NIR data you get something like the following which – while being far from realistic – is at least plausible and not as misleading as false color images usually are. 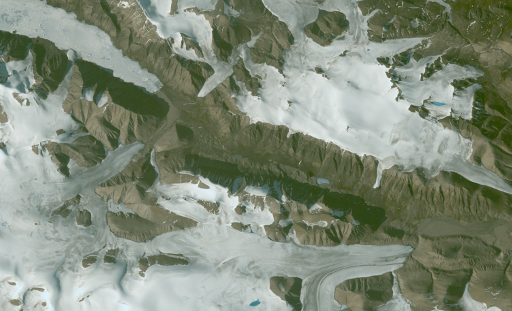 With the large number of recent Landsat 8 images available these days the ASTER data is much less interesting today than it would have been a few years back. But it is still quite valuable for historic reference of course as well as in areas where usable Landsat images are rare. Also as said the high latitude coverage is better. likewise but partly older images from 2005.
where no high resolution images are available in the usual sources. This image is from 2007. A word of caution for OSM use: Be careful with image alignment, especially if you don’t have other images to verify. For the high latitude Arctic images cross checking with the May 2013 Landsat images would be a good idea. Make sure you are aware of the basic problems here which i discussed more in depth elsewhere. Update: For more consistent appearance in the map i re-generated the tiles with also the low zooms available in separate layers. 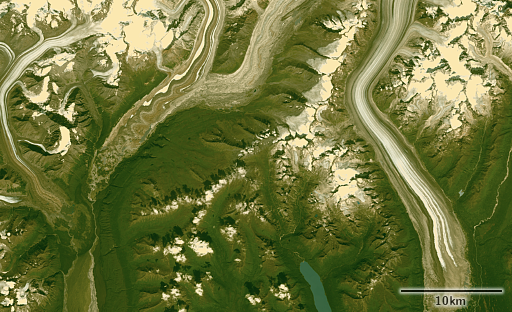 On maps.imagico.de you can select show only this image in the popup dialog of the image in question – which is especially useful for the northern Ellesmere Island and Greenland areas where multiple different images are available. Same applies to the TMS URLs above. Alternatively you can also specify a priority parameter instead of layer to get the specified image with priority but elsewhere also the other images.